4. Sound insulation: closed foam, effective sound insulation. 5. High elasticity: make you feel more comfortable and relax when you use it. Spa cover series: Spa cover, cover lifter, spa filter cartridge. from 2~12years, because we have reliable quality, wide range of products, competitive price, good knowledge and service. Q:what&rsquo;s your shipment terms9 A:Generally, if samples, by air or by express(DHL,UPS,FEDEX,TNT,EMS) If bigger order, by sea. 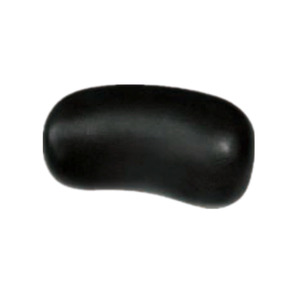 Q:Price terms9 A:we offer FOB, you can find a forwarder in China, or choose our forwarder, but the service is better than yours Sample charge and delivery time 1. This product should pay for the sample charge, and buyer would bear the freight. 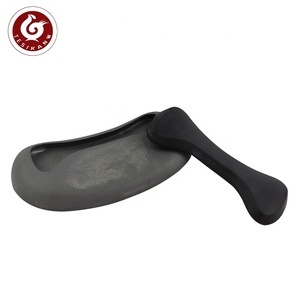 1 YRS Dongguan Kangta Plastic Hardware Products Co., Ltd.
With this graphite grey, inflatable bathtub pillow you get a really comfortable bath experience. inflatable festival item ,inflatable Christmas item,inflatable halloween &easter items. 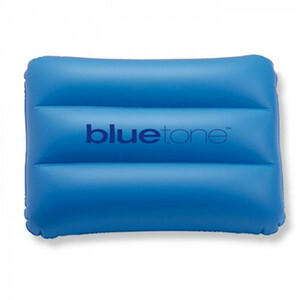 inflatable furniture,inflatable sofa,inflatable chair,inflatable back support pillow. 2018 new arrival & free sample plastic pillow for bath Patented product! And for bulk order,sea ship way is best but take much time. For urgent orders,we suggest via air to airport plus our ship partner send to your door. Art No.BP101 Cute inflatable bath pillow Material:Terry cloth,PVC Good quality, competitive price. Material :Recycle, environmental protect. Packing: Each piece packed in a polybag,insert a color paper.72pcs/ctn. Sample cost Sample without printing, is US$50. 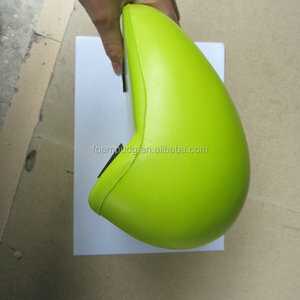 Custom sample, the cost is charged according to the size, material and the number of color, and printing area. Sample lead time 3 working days for sample without printing 7 working days for sample with printing. P roduction time 30 working days Payment Terms T/T 30% deposit; 70% balance before shipping. Promotions PVC Inflatable Feather Bath Pillow. 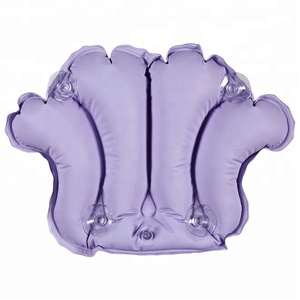 Product Info Name Promotions PVC Inflatable Feather Bath Pillow. We will keep customer informed during each steps to make sure the quality. Especially the piping size, connection way, parts of the tools needed. Our standard color for cover of most of the fittings is Chromed. But if the quantity is larger, we can make it white , grey or black. 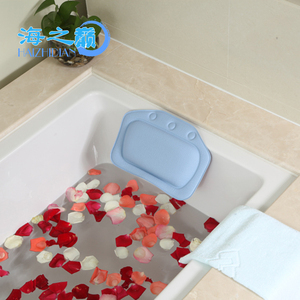 Inflatable bath pillow,Inflatable Pad with terry cloth. Inflatable Toys 1. PVC inflatable toys Logo : Available 2. PVC inflatable toys OEM:yes 3. PVC inflatable toys Color& size. We expect to establish a long-term partnership with you. The pillow is very soft and color what you need. By the way,we can printing custom brand logo and artwork if need. By now We have designed and produced hundreds of the product. 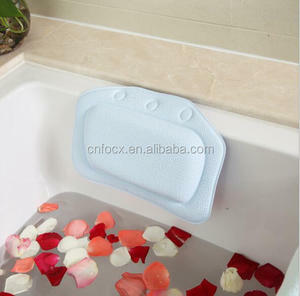 Alibaba.com offers 1,919 plastic bath pillow products. About 54% of these are pillow, 25% are bath pillows, and 2% are blanket. A wide variety of plastic bath pillow options are available to you, such as airplane, bath, and bedding. You can also choose from anti-snore, magnetic, and anti-apnea. As well as from rectangle, column, and wave. And whether plastic bath pillow is pvc, 100% polyester, or memory foam. 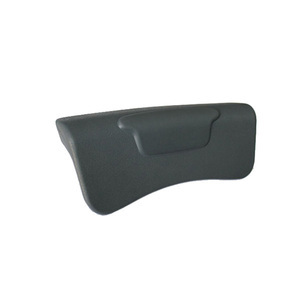 There are 1,919 plastic bath pillow suppliers, mainly located in Asia. The top supplying country is China (Mainland), which supply 100% of plastic bath pillow respectively. 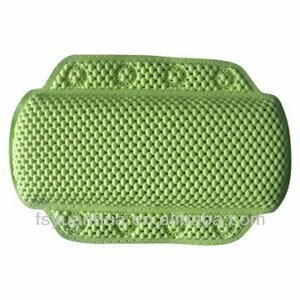 Plastic bath pillow products are most popular in North America, Western Europe, and Domestic Market. You can ensure product safety by selecting from certified suppliers, including 520 with ISO9001, 234 with Other, and 52 with BSCI certification.